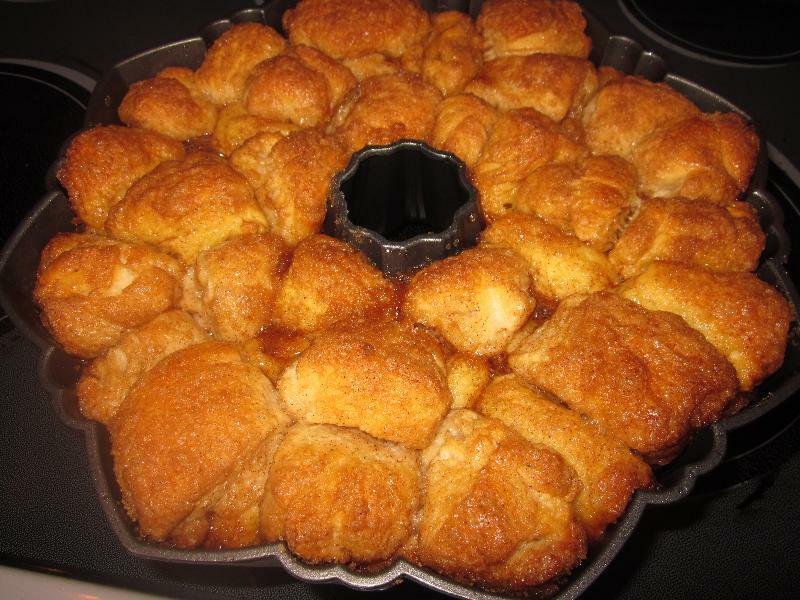 My sister made monkey bread once totally from scratch. It was amazing! It was also extremely time consuming making the dough from scratch. I came across this recipe because I had some biscuits that I needed to use. I found it here. This was easy in terms of not having to make a dough but it did take time to cut up all of the biscuits and then get them coated. I did change a few things from this recipe. 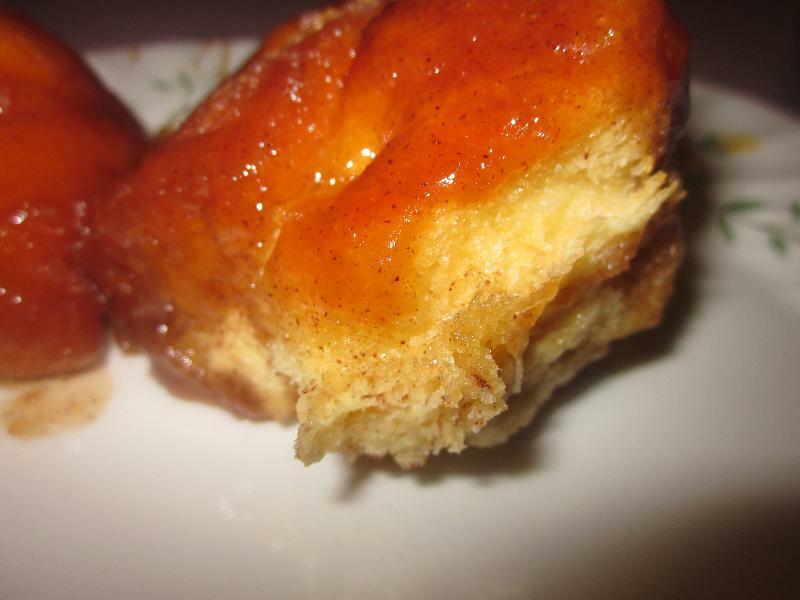 I used more sugar, cinnamon, and brown sugar. I also dipped each ball into the melted butter. 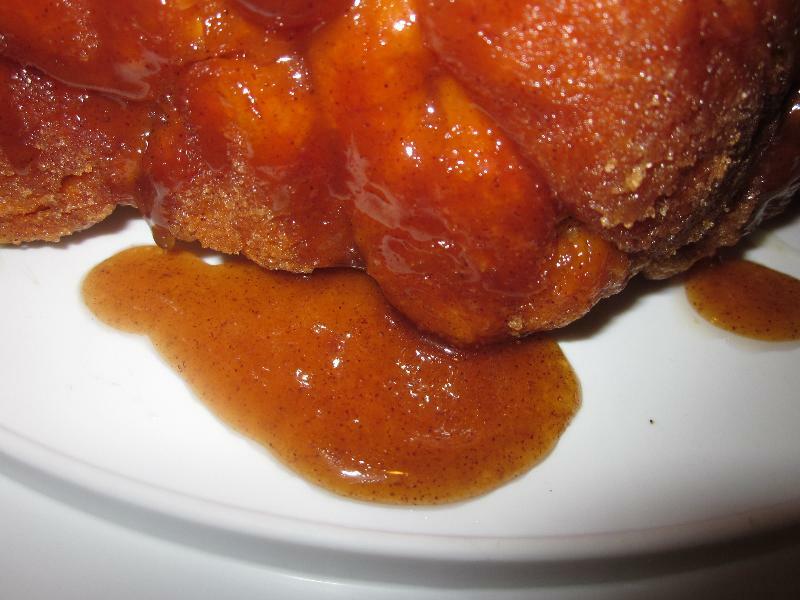 I then dipped it into a sugar, brown sugar, cinnamon mixture. I loved the idea of the sugar in the bag because it was one less thing to clean up and you could shake the dough in the bag to coat it. Grease a bundt pan with shortening. In a large storage plastic bag, mix the granulated sugar and cinnamon(I also added the brown sugar). Separate the dough into 16 biscuits. Shake the biscuit balls in a bag to coat. Place the biscuit balls in a pan. Next add the walnuts and raisins among the biscuit pieces. Bake 28 to 32 minutes or until golden brown and no longer doughy in center. At about 25 minutes I placed aluminum foil over to keep it from getting overly dark. 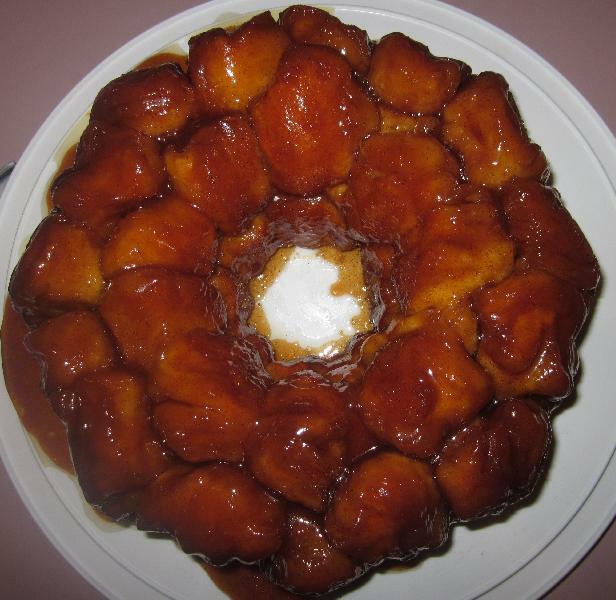 When it is finished baking turn the pan upside down onto serving plate; pull apart to serve. Serve warm and enjoy!